We discovered IndiaNoy kitchen at Midnight Mercato. They serve Indian food with a bit of flavoring that will appeal to Pinoys. We ordered the Kathi Roll. This was delicious. 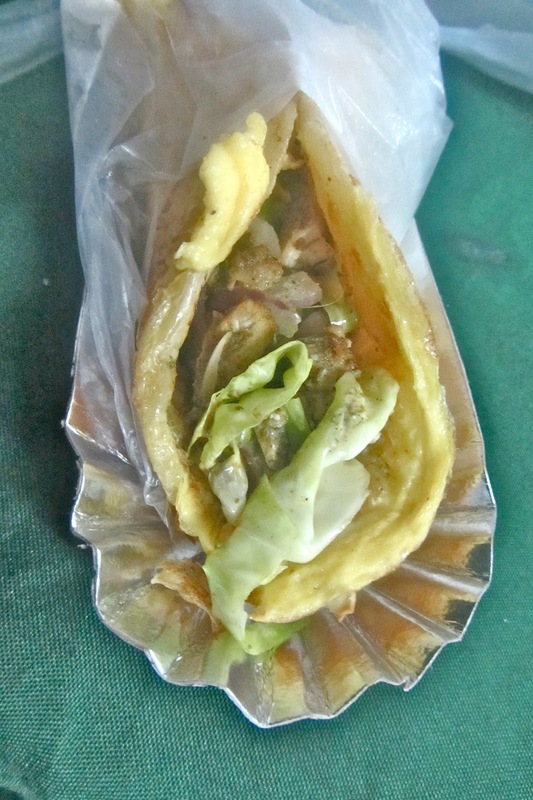 Imagine having your Paratha dipped in egg then fried. Place curry flavored meat and vegetables inside - wonderful! 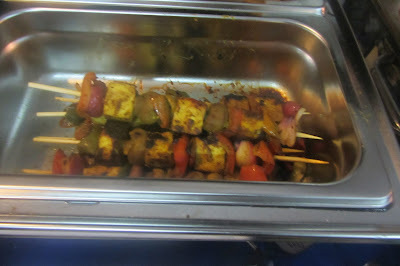 We also had Paneer Kebab - I don't think you can ever go wrong with Paneer. Three sticks for 100 pesos - that's more than enough to share between two people.